As the “Baby Boomer” generation ages, you may find yourself in the role of caretaker for your once vibrant parent or loved one. With that role comes new responsibilities and challenges, especially if your loved one is considered a vulnerable older patient. It can be difficult to navigate such issues as geriatric dental problems when faced with the complications of a parent or loved who is homebound or has limited mobility or a complex health status. Just because your loved one is homebound, doesn’t mean that they can’t receive the best care possible from a compassionate geriatric dentist! 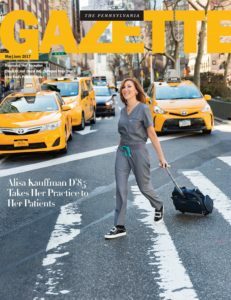 Dr. Alisa Kauffman of Geriatric House Call Dentistry is the most trusted and caring geriatric dentist in Manhattan. She is highly educated and well versed when it comes to treating geriatric dental problems in patients who are suffering due to the natural aging process. According to The American Dental Association, the demographic of older adults (ages 65 and up) is growing and likely will be an increasingly large part of dental practice in the coming years. Of that demographic, there is a growing population of older patients who simply cannot leave their home. This where Dr. Kauffman comes in. Literally. She makes house calls to patients who are confined to their home or care facility. There are many different reasons someone is unable to make it to a dentist office. And there are several very real, very serious threats to not only their oral health but their overall health as well. Tooth Decay (Cavities) – Dental plaque is a sticky film of bacteria that produce acids that eat away at the tooth’s hard outer surface and creates a cavity over time. Root Decay – This is caused by exposure to decay-causing acids to the tooth root. As gum tissue recedes from the tooth, the gum tissue becomes exposed. Gum Disease – Gum (periodontal) disease is an infection of the gums and surrounding tissues that hold teeth in place. Dry Mouth – Dry mouth is the condition of not having enough saliva, or spit, to keep the mouth wet. Jaw Deterioration – When missing teeth are not replaced this causes the jawbone to slowly lose bone density thereby causing shifting teeth and facial structure. These are some issues that your elderly loved one may face as the aging process progresses. Add to that, the taxing complications of varying physical, sensory, and cognitive impairments, and you may feel like you’re fighting an uphill battle getting your aging loved one the proper geriatric dental care they so desperately need and deserve. The Centers For Disease Control And Prevention states that appropriate dental care will help your loved one maintain their natural teeth. There is no one more compassionate to the needs of the geriatric community than Dr. Kauffman. It’s time to start facing these geriatric dental problems head on. If you find yourself in the role of caregiver, there is no better care than that of Dr. Kauffman for her patients. She is trustworthy and tender, respected, and respectful. Call her today at 917-826-6278 so she can help put your mind at ease and get your loved one on the road to excellent geriatric dental care! It is Dr. Kauffman’s passion and compassionate heart and loving touch that sets her in a league of her own. She is relentless in her pursuit to ensure that her patients are as relaxed and as safe as possible. Click here to see what she has to say about keeping her patients comfortable. With the aging process comes a myriad of unforeseen issues that can oftentimes leave an elderly patient unable to leave the home for dentist visits. 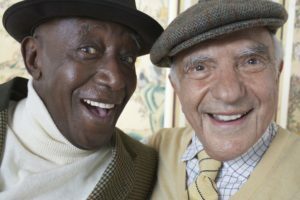 These “vulnerable elders” include, but are not limited to, those who are poor, lack insurance or mobility, have lost all of their teeth, do not believe they need care, have difficulty communicating, or have functional and cognitive impairments. Dr. Kauffman, equipped with an extensive education and intensive training, is passionate about bringing the most efficient and compassionate care to her patients. She is a trailblazer. That’s why she’s the highlighted geriatric dentist in The Penn Gazette. Dr. Kauffman continues to be a leader in the development and implementation of better systems of dental care for elderly patients. She has been named a Top 25 Dentist because of her groundbreaking work in the field of geriatric dentistry. Dr. Kauffman is experienced in handling patients with Alzheimer’s Disease, Parkinson’s Disease, and all forms of Dementia. Having had 30+ years of experience in dentistry, and sitting as the clinical director at Penn Dental and the dental director at three nursing homes, as well as being on staff at Lenox Hill and Mt. Sinai Hospitals, she has established herself as a gentle, yet strong force for NYC’s vulnerable older patients. The Penn Gazette acknowledges her groundbreaking work and passion when it comes to providing dental care to a forgotten generation. If you’re a caretaker or decision maker for a vulnerable, aging adult, Dr. Kauffman would love to talk to you and answer your questions and ease your concerns about geriatric dentistry house calls. It’s her desire to treat your loved one with the utmost respect and tender loving care. Please give her a call today at 917-826-6278. She’s willing to go above and beyond to provide your loved one with needed dental care.